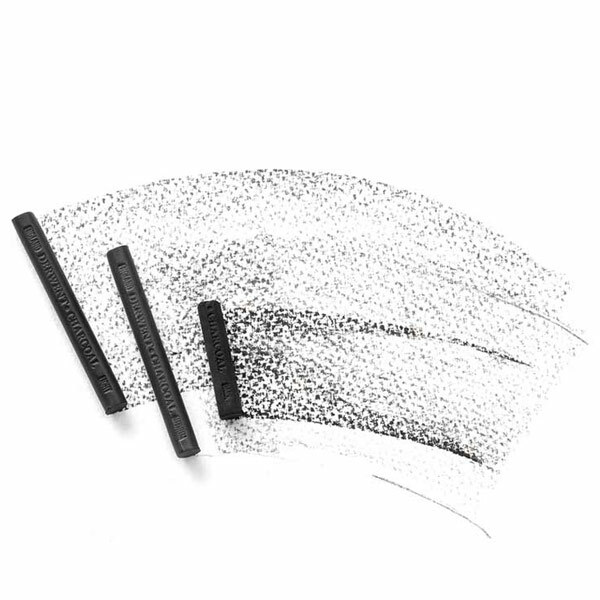 One of the oldest and most traditional drawing tools, charcoal is basically carbonised wood – so for a truly authentic result, why not use charcoal as nature intended. Compressed Charcoal is a solid stick of pure, reformed wood charcoal. It produces deep, dense tones with a completely different texture to graphite. Available in three versatile grades, light, medium and dark, Compressed Charcoal is naturally watersoluble allowing you to create interesting line and wash effects.